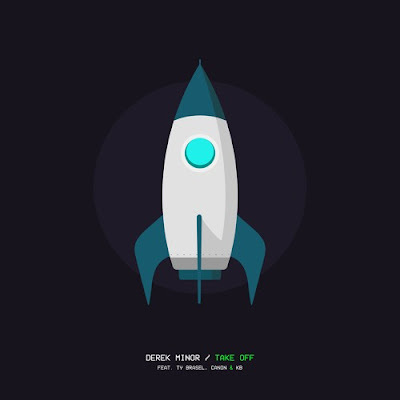 Derek Minor drops his latest single "Take off". Featuring Ty Brasel, Canon, & KB; the song comes as Minor announced the Up And Away series. Instead of releasing one album; he will be dropping four projects as part of the series before then end of 2017. He describes that project saying, "different projects, with different vibes, but one story." The first installment Your Soul Must Fly will be available September 1st as is available for pre-order.